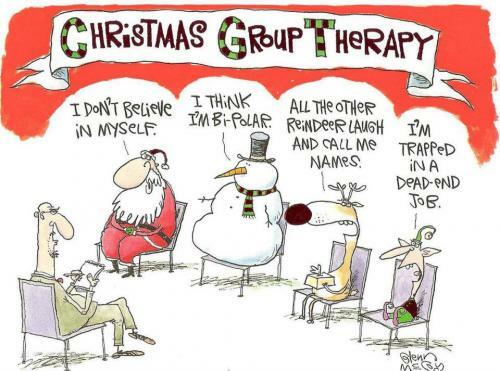 Christmas group therapy I don't believe in myself. I think I'm bi-polar. All the other reindeer laugh and call me names. I'm trapped in a dead-end job. All the other reindeer laugh and call me names. I'm trapped in a dead-end job.